Make your event unforgettable, book Martin Offiah MBE to speak at your event – we are a booking agent for Martin Offiah MBE and can book Martin Offiah as an After Dinner Speaker. 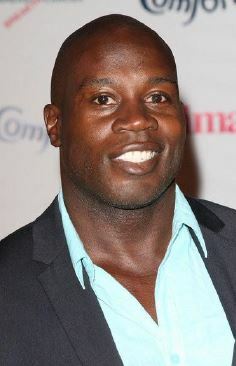 Martin Offiah MBE is former professional rugby league and rugby union footballer who began his career in 1987 at Widnes where he spent four years before signing for Wigan. Playing as winger Martin Offiah MBE formed a devastating partnership with Gene Miles scoring 30 tries in just 15 appearances. During his career at Wigan he won the World Club Challenge, four Challenge Cups, five championship teams, three regal trophies and one Lancashire Cup. He also twice won the Lance Todd Trophy at Wembley and is also remembered for one of the finest tries ever which he scored against Leeds in the Challenge Cup Final. Martin also played for Easts Roosters, St George, London Broncos and Salford City Reds. 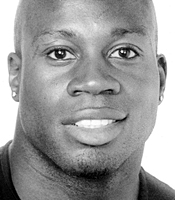 Martin Offiah MBE also represented Great Britain 33 times and England on 5 occasions. Towards the end of his career, Martin spent one season in Rugby Union with London Wasps before retiring. The highlight of Martins career was when he was rewarded for his services to Rugby with an MBE in the Queens New Years honours. Upon his retirement, Martin Offiah MBE focused on media commitments and has become a regular on Sky Sports News reviewing the weekends Rugby League footage but also on Sky News where he reviews the newspapers on Sunrise with Eamon Holmes. Martin has also featured on other television programmes such as BBC Question of Sport and Channel 4’s popular programme Come Dine with Me. In addition, he has also appeared in soaps Hollyoaks and Emmerdale and a reality TV Special of The Weakest Link in 2006. Martin Offiah MBE also took part in Strictly Come Dancing where he came (fourth) with his partner Erin Boag and more recently in ITVs hit show, Splash! More recently, Martin Offiah has been commissioned to write for the Evening Standard Newspaper and to review the weekends Rugby League coverage. Martin has worked with numerous brands such as Nike, Probiz, MyProtein and Coral. Contraband is the UK’s top booking agent, with affable, skilled account managers who guarantee you the best deal possible. Contact us today if you would like to book Martin Offiah to be the headline of your event! We as your booking agent are more than happy to help you create the most memorable moments with Martin Offiah.